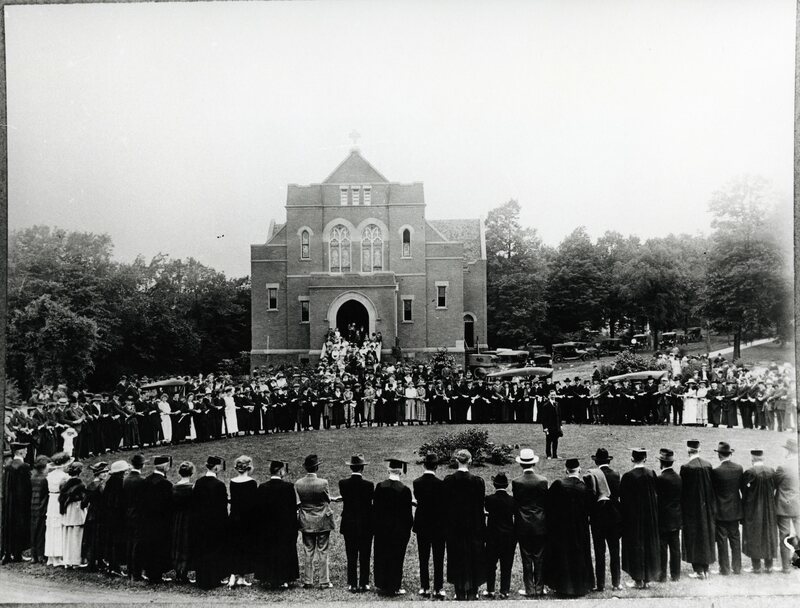 In her recollections, Manitou Analecta (1968), Dean Gertrude Hilleboe wrote that the Alumni Pledge ceremony became an important part of commencement day. 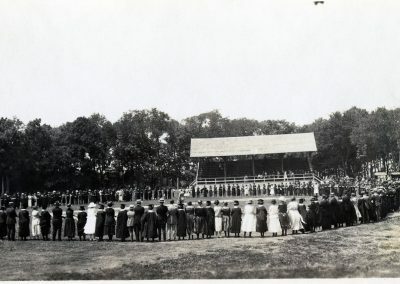 The outdoor tradition apparently started around 1913 and continued until the late 1930s when the graduating classes became too large. To loyally back her in every need. And speak of her mission in merited praise. To pledge her our love as we gratefully sing. 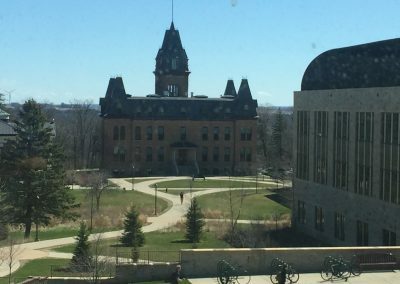 All hail, Alma Mater, on Manitou Heights! 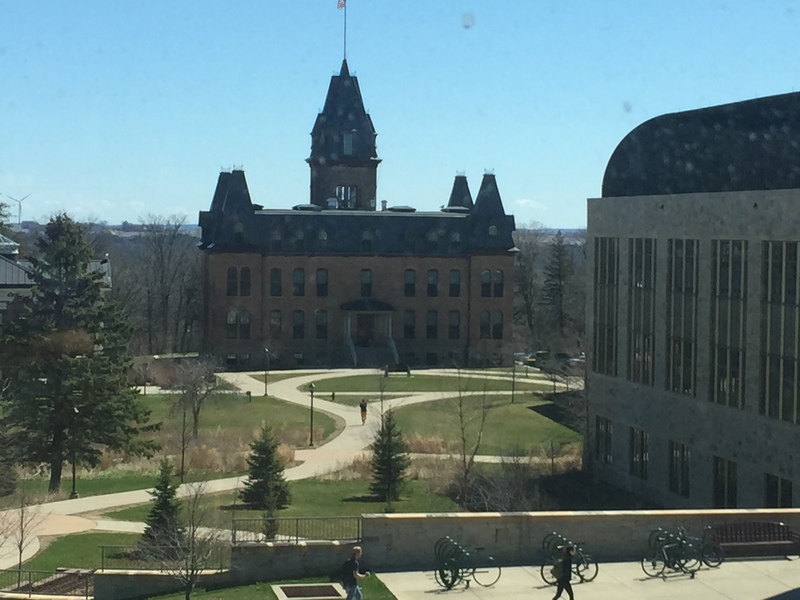 St. Olaf alumni are true to the end! 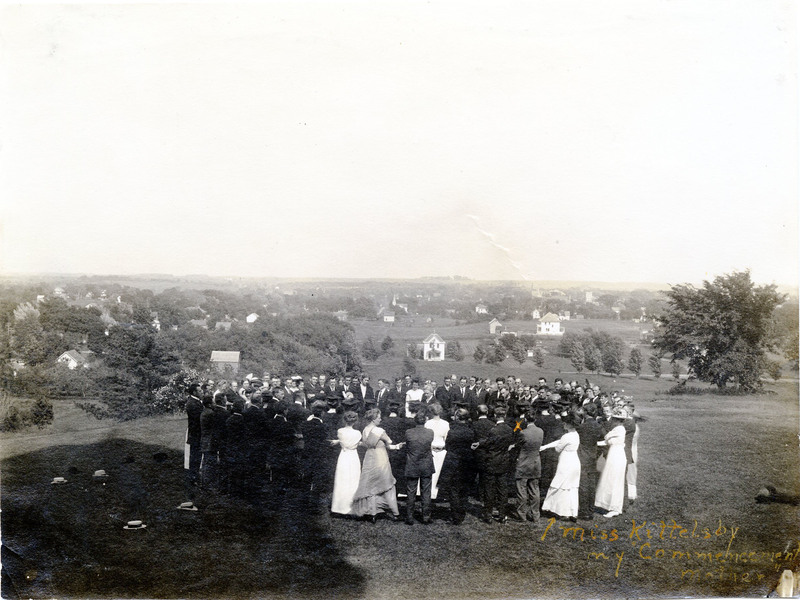 St. Olaf graduates used to stand in a circle by Old Main; the ceremony is no longer a part of the graduation celebration. 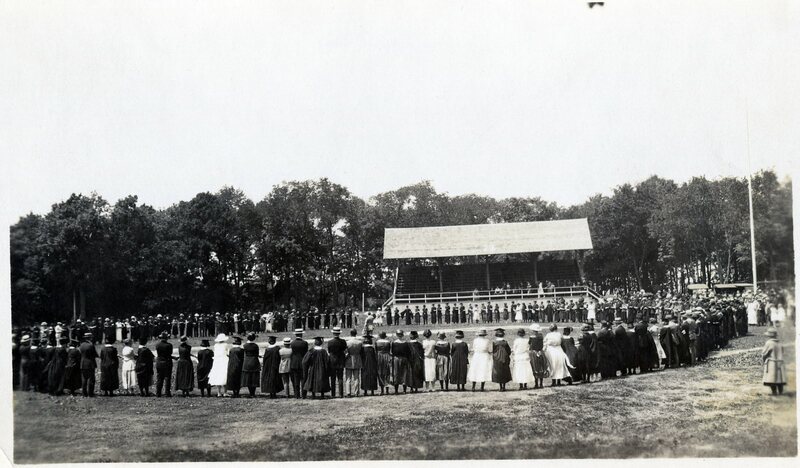 This photo was taken on in front of the old baseball grandstand, now the Mellby Hall green. 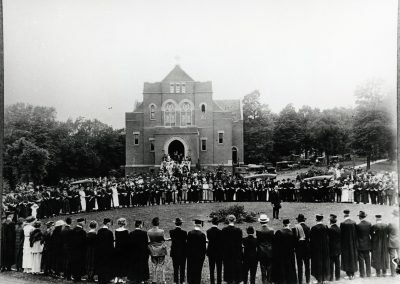 Hoyme Memorial Chapel, built in 1906, was destroyed by fire on September 22, 1923. Regents’ Hall occupies the former chapel site. The first-ever alumni pledge ceremony for the newly minted sixty St. Olaf College graduates. 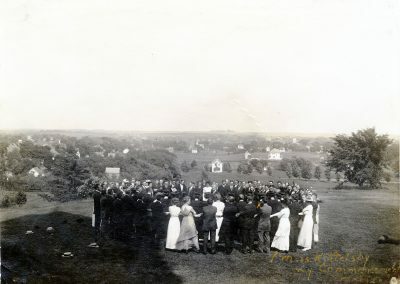 This photo was taken in front of Old Main overlooking the town of Northfield.